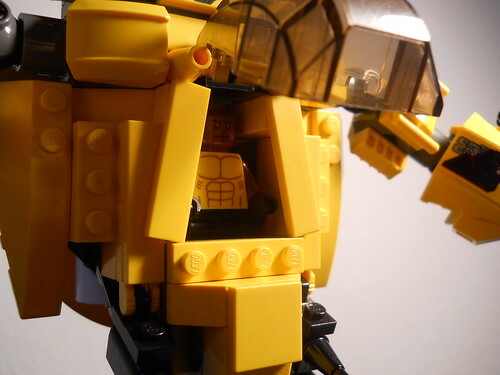 Nice Iron Fist mech! He is a cool character, I'm glad someone did a mech for him. 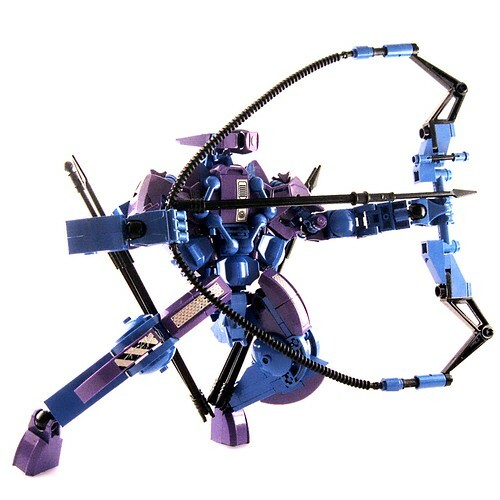 Originally built by Stark Industries (along with Hulkbuster Ironman) to give Hawkeye the capability to provide a lethal blow to the Hulk. The bow is made from a variation of reverbium which magnifies the amount of energy stored by the 12,000 pound draw weight weapon. The 200 pound arrows are tipped with adamantium. 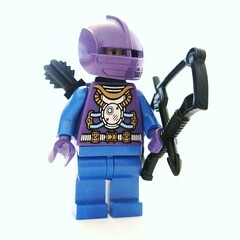 Hawkeye returns to his original purple and blue colors for his mech specific costume. 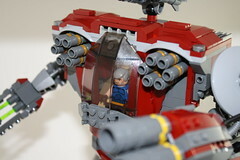 Just enough room for hawkeye in the chest of the mech. It might be the smallest mech of the group but it packs one heck of a punch. Last edited by Lanterne Rouge on Sun Oct 28, 2012 9:48 pm, edited 1 time in total. ^I must say, that is outstanding. That main image is Breathtaking. 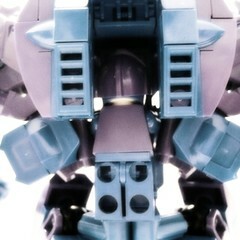 I think you have not only built a great mech, you have presented it perfectly. Looking at the competition, I'm not expecting to win, but I'll be darned if, despite my initial doubts, I didn't manage to scrounge up something I'm pretty proud of. You guys keep knocking these out of the park. Solo wrote: You guys keep knocking these out of the park. 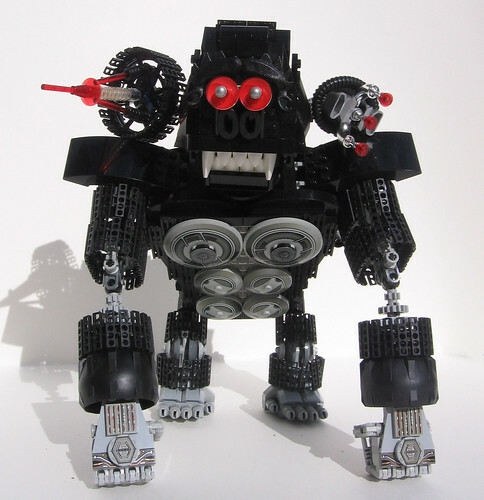 ^^^^That is a nice mech, it really looks like a gorilla. Cable’s X-Force Mech armed with huge guns, missiles, and advanced weaponry he brought with him from the future. Made from parts of his ship Greymalkin its primary purpose is to aid in his missions against difficult foes like Apocalypse. The competition looks tough, and I'm sure there are plenty more to come. Good luck to everyone. Solo wrote: opaque [cockpit] is okay. Just don't forget to give the pilot appropriate screens and controls in there. 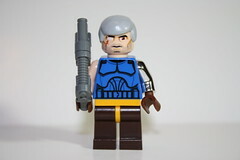 Your Cable figure is great. Using the Commander Wolffe head is almost perfect, correct side for scars / opposite eye with the "glow" effect. I made a Batman astro mech. I thought to myself why would Batman need a mech, with guns no less. First thought was maybe since he is on the JLA he might want to help out with some brute force on some of there higher tier missions. Or maybe its for an older much grumpier Bruce Wayne from Kingdom Come that can't run along roof tops anymore. The batman is supposed to be just a symbol so maybe someone like Azrael has taken up the mantle. It allows him some limited control of the mech while outside of it. Things like auto targeting and fire control. It has an anti gravity and particle shield generator on the back; better seen in the gallery. Its mostly to stop small pieces of space dust from ripping a hole in its hull in space. It also assists in scrubbing of friction from the atmosphere if a self reentry to earth is required. In emergency's the batman can super charge the shield to ward of heat rays or omega beams, but at great cost to its power banks. The cockpit features a bi-valve design. The roof raises up and has an extendable arm with rope for the batman to use to climb out. 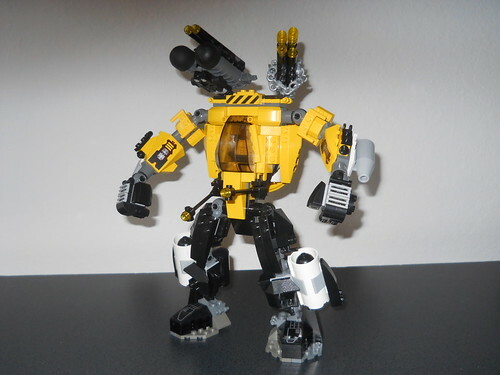 Even though he has a jetpack, if he wants to keep using his mech its best not to blast out of there unless its an emergency The front rotates forward and carries the controls with it. Also seen is small armory and power supply. 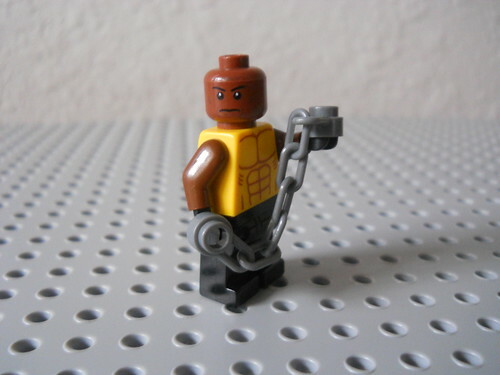 Hey guys, I was just wondering if my minifigure could be standing on a light gray 48x48 plate with a white backround or is that against the rules? 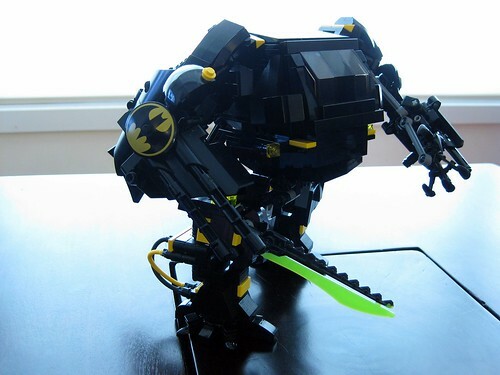 ^^^That's actually a really nice Batman mech. I take some comfort in the fact that I won't be competing against any of the really nice Hero mechs I'm seeing (though that's kind of mitigated by looking at the Villain competition). 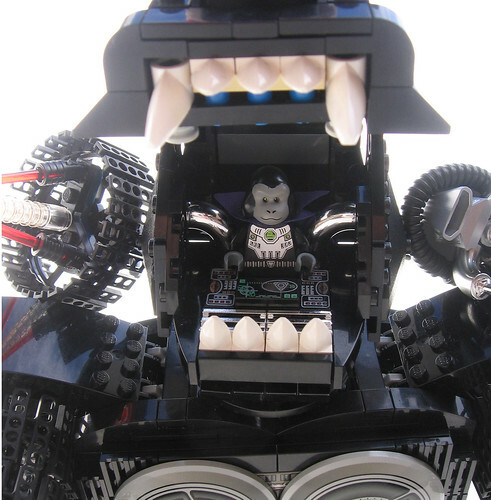 Ultron32 wrote: ^^^That's actually a really nice Batman mech. 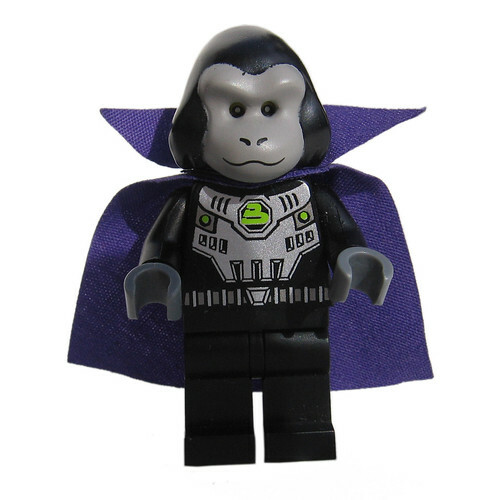 It's from Lex Luther game exclusive figure. 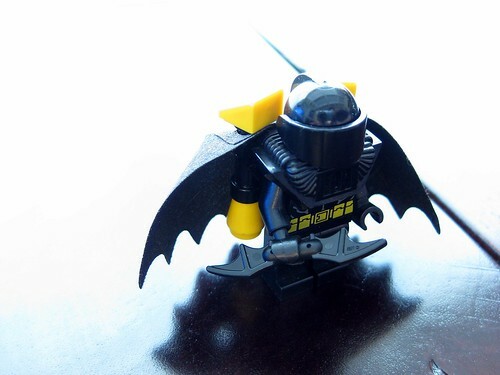 The Dark blue is from the space patrol mini figure series. This is only my 2nd Moc, and don't think I'm going to finish on time. My fault, started too late on it. 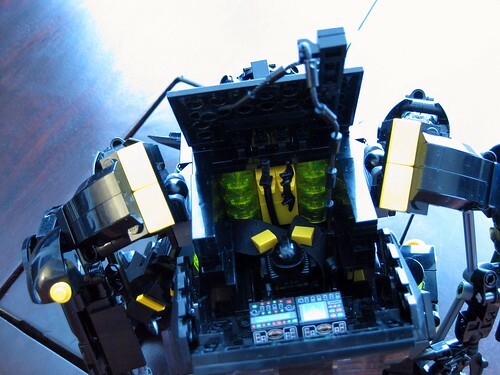 For my entry I chose to build a mech for Luke Cage, a hero who is a part of the Avengers and the Heroes for Hire. The mech has flight capabilities for zooming around the enemy, specialized fists for melee fighting, big guns, and tank missiles. 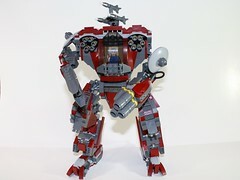 A hearty thanks to the FBTB staff for hosting this contest, I had a bunch of fun building my mech!